high-level institutional investment and global portfolio management experience, both in Asia and the United States. Eric has over 20 years of investing experience, both in Asia and in the United States. 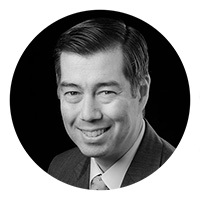 Eric started his career in 1992 as an equity analyst in Asia, working in Hong Kong and Thailand for Nomura Securites and ING Barings, covering sectors across the Asian region. During Eric’s time in Asia, he became a well-respected analyst, appearing on CNBC, and in The Asia Wall Street Journal, and Fortune magazine. Eric returned to Boston in 1998, and worked as a global equities analyst at Columbia Management. In 2005, he joined Independence Investments (then a subsidiary of John Hancock), which expanded his responsibilities, including managing portfolios. 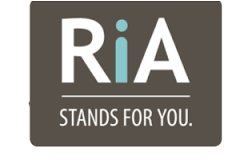 Eric had a unique opportunity to join RBS Citizens Bank (in their private bank), to set up and establish their equity strategy, and to also make asset allocation decisions. Eric received his BSc and MSc degrees in Engineering at Washington University in St. Louis. He is a Chartered Financial Analyst (CFA), a member of the Boston Securities Analysts Society, and is a participant on its global equities subcommittee. Eric was also a previous member of the New York Society of Securities Analysts. Eric is a frequent speaker on investments and global financial markets at various events, including on an investment panel at the prestigious MIT Asia Business Conference. He has hosted a US State Department sponsored delegation from 21 countries under the International Visitor Leadership Program, and has led an investment forum at the Dana Farber Cancer Institute. Eric’s non-for-profit Board of Director participation includes the Cambridge-Ellis School and World Boston, which fosters engagement in international affairs. He is also a trustee for several high net-worth individuals and family trusts. Eric hosts open office-hours bi-weekly in the dynamic CIC, and regularly appears at The Venture Café. Gita R. Rao is a Managing Director and Head of Portfolio Management for East Horizon Investments, and brings over two decades of experience in investing, asset allocation, risk management, and client service. Dr. Rao also holds a faculty position as a Senior Lecturer in Finance, and Associate Faculty Director of the Master of Finance program at the MIT Sloan School of Management. Dr. Rao’s previous roles include: portfolio manager at MFS Investment Management, managing global long-short portfolios and co-director of quantitative equity research; associate partner and director of quantitative equity research at Wellington Management Company, managing over $4 billion in global equity portfolios on a team responsible for $15 billion in client assets; senior vice president at Liberty Financial Companies, managing over $1 billion in global and international equity/balanced mutual funds and serving on the firm’s investment policy committee; senior research analyst at Fidelity Management & Research Company and vice president at Kidder, Peabody & Co. in New York. She has served as a president of the Society of Quantitative Analysts, on the editorial board of the Financial Analysts Journal, on the board of trustees of the Research Foundation of the CFA Institute, and as Assistant Professor at the University of Illinois at Urbana-Champaign. 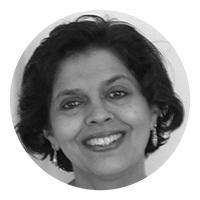 She currently sits on the board of the Boston chapter of Pratham, an Indian educational NGO. Dr. Rao holds a Ph.D. in Finance and Accounting from the University of Rochester, an MBA from the Indian Institute of Management, Ahmedabad, and a BA in Economics from Delhi University’s St. Stephen’s College in India. In her spare time, she enjoys travel, practicing yoga and organic gardening. 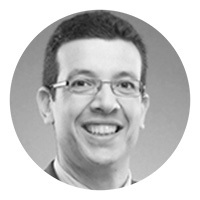 Rodrigo is an Associate Professor of Accounting at the MIT Sloan School of Management, and he was granted a tenure position in 2013. Rodrigo has a broad interest in capital markets research in accounting and finance. His past research investigates the economic consequences of financial reporting quality to investment efficiency and to the cost of capital. He has also studied the interaction between accounting information, voluntary disclosure, and market efficiency. Overall, Rodrigo's research provides insights into the role of accounting information in corporate finance decisions and in capital markets behavior. Rodrigo received his PhD in Accounting at The Wharton School, University of Pennsylvania and his BSc and MSc at Federal University of Rio Grande do Sul in Porto Alegre, Brazil. Rodrigo is an avid athlete, competing in triathlons in the United States and sailing regattas in Brazil. 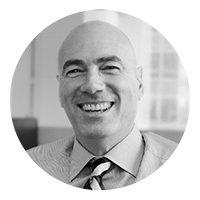 Andreas brings 25 years of experience in the technology and software industry, including as CEO of PopSleuth, Inc, and Chief Technology Officer for Hancock Software. He was also a project management lead for Heidelberg Printing Machines AG, MAP Medical Technology, Clinical Cooperation Aerosol Medicine (GSF), Gould Nicolet, Federal Institute for Materials Research and Testing, Germany, Physics Institute of Technical University Flensburg. Fisher Rosemount, Emerson Process Analytical, Frankfurt Airport, Zoological Institute of the University of Munich, Fraunhofer Institute for Building Physics (IBP), Bosch AG/Additive, and VDO Dayton. Andreas is a seasoned technology and implementation specialist, and is well-versed in software modeling, and Full Software Development Life Cycle (SDLC) methodologies. He is an accomplished software architect, algorithm developer, scalability expert, and SaaS strategist. Andreas also brings experience as an advisor to startups in the U.S. and Europe, and is savvy with patent research and patent drafting. 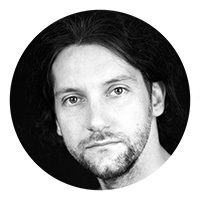 If there is still time in the day, Andreas is a passionate photographer, and also enjoys aviation. He will fly simulated aircraft through heavily populated virtual airspace, and he has designed and built a full-blown office flight simulator, that allows him to train his IFR skills. Andreas hosts open office-hours bi-weekly at The Venture Café, in the Cambridge Innovation Center, and is also a regular guest when he's not giving advice. He is also a member of the Investors Collaborative. Steve is the President of SACI, the prestigious art and design college in Florence, Italy. Previously, Steve was a Principal at CannonDesign, an award-winning full service architecture, engineering, and interior design firm specializing in healthcare, education, and corporate commercial facilities, in Boston and around the world. Over the past 25 years, Steve has designed large-scale commercial and academic built projects, mixed-use developments, and urban design in the US and internationally. The common thread throughout his career is the integration of technology, with real estate, and a commitment to sustainable design. Steve oversaw projects such as the award-winning Macallen Condominium Residences in Boston in partnership with Nader Terhani, the Isabella Stewart Gardner Museum expansion with Renzo Piano's Building Workshop, and the UMass Amherst academic and classroom building. Steve has a passion for innovation, and he regularly collaborates with dynamic emerging growth companies, helping them with strategic opportunities and guidance for their organizations. He brings unique insights and perspectives, reflecting a broad teaching, operating, strategic, and business experience. He is very active in the Boston community, belonging to such organizations as the Boston Harbor Angels (a leading angel investing group), Boston Society of Architects, Commonwealth Covenant, Boston Architectural College, Tufts Medical Center, and formally a member of Architecture Boston's editorial board. Steve graduated from the University of Cape Town, South Africa with a Bachelor of Architecture, and from Harvard University, where he earned his Master’s degree in Architecture, both with Distinction in Design. He has held teaching positions at Harvard University, Columbia University, and Rhode Island School of Design (RISD). Steve is a former SACI instructor in Florence, and administrator who has been on SACI's Board of Trustees for over a decade. In addition, to teaching, he has published numerous influential articles on architecture, design, and related topics. We were featured at the MIT Sloan Asia Business Conference. We attended the CFA Institute Conference in Frankfurt, Germany.